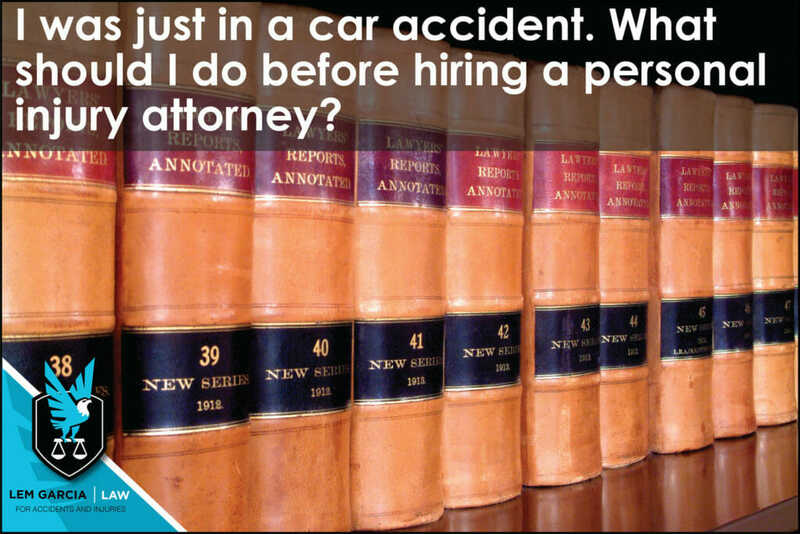 There is a list of things to do after a car accident and following this list will give you the best start when hiring a personal injury attorney and getting your case rolling. The first thing you should do is contact the police, wait for them to arrive on the scene and to get a police report made. A police report can be a valuable asset to your case as it can provide additional points of interest and evidence the lawyer can use to bolster your case if need be. While on the scene you should also take photographs of the scene, any cars involved, and any injuries. Photographic evidence can also be used to bolster the case and gives the attorney grounds to challenge the insurance adjuster’s offers for medical expenses. Also be sure to exchange information with the other driver(s). Name, address, phone, drivers license, and car insurance information are all important for any case. If there were any witnesses be sure to get their general information as well. Witness statements can be used during the case to help solidify certain variables. Next up is getting treated for any injuries. Your primary care physician will address your injuries and put you on a care plan. This could include and surgeries, medication or chiropractic referrals. Last but not least is to find a good lawyer that you like and trust to talk about your case before you sign anything, accept any offers, or provide a statement to the insurance company. By: Lem Garcia, car accident lawyer in West Covina.